I created this piece in Cinema 4d. This is an unaltered render (no photoshop). To create this I found vector logos of companies like Apple, Vans, PS3, Xbox 360, and Infiniti. I then typed things about myself and what I do and outlined them in Illustrator so I could then bring them into Cinema 4d to extrude the vectors to generate depth. 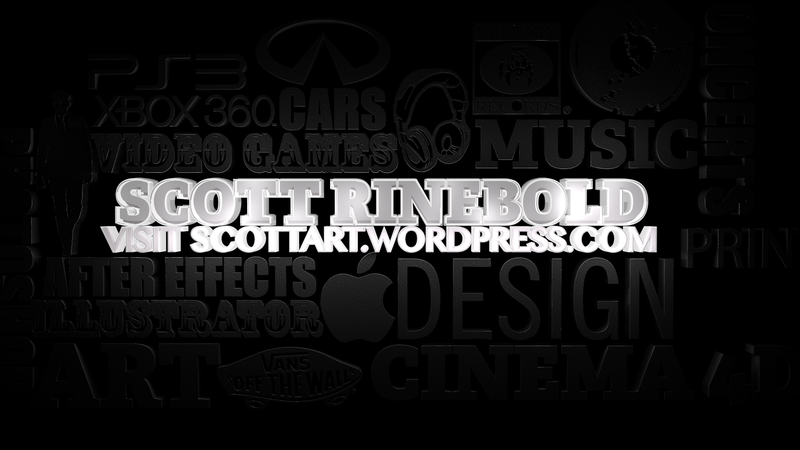 I then painstakingly created the glowing name as well as my website. I will also be putting a photoshoped version at a later date. Let me know what you think!